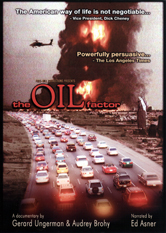 Looking for films about the Oil Industry? Fracking? As news of fracking, Keystone Pipeline XL and the BP oil spill disaster fills the media landscape, more than ever we are forced to take a hard look at our relationship with oil. 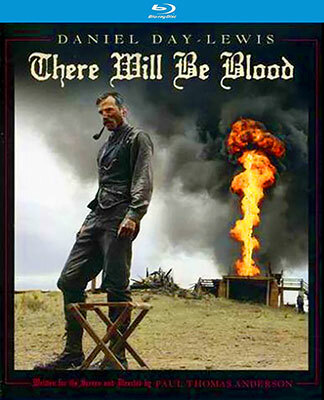 Below you will find a list of recent and classic films that focus on the petroleum industry, oil spills, narrative stories, fracking, and the use of oil around the world. The Ethics of Fracking explores the ethics of the natural gas extraction process known as “fracking”. The film covers the political, spiritual, scientific, medical, and educational points of view of hydraulic fracturing. The film also takes a look at the deceiving advertising the gas industry heavily relies on. FrackNation was made after Phelim McAleer confronted GASLAND filmmaker Josh Fox at a Q&A in Chicago. In May of 2012 a coalition of musicians, scientists and activists gathered in Albany on the governor’s front doorstep, calling for a ban on hydraulic-fracturing. The film that resulted from the night – a unique blend of “The Last Waltz” and “An Inconvenient Truth” – was written and directed by Jon Bowermaster and filmed under the direction of Academy Award winning doc-maker Alex Gibney. The stars of the night included actors Mark Ruffalo and Melissa Leo, environmental biologist Sandra Steingraber and a long list of musicians that included Natalie Merchant, Joan Osborne, Dan Zanes, the Felice Brothers, Citizen Cope, Medeski Martin & Wood and many more. Read more on the film’s website. In addition to a bonanza for a few lucky landowners, the new mines promise jobs and economic stimulus for the small towns and rural areas nearby. But also opposing stories – intense truck traffic, plummeting property values, toxic silica dust. The goal of this project: find the real price of frac sand. Not just in dollars, but in friendships, communities and the future of this region. Across the heartland of America, farmers and landowners are fighting to protect their land, their water, and their livelihood in what has become the most controversial envirionmental battle in the US today: The Keystone XL Pipeline. Routed from Hardisty, Alberta to the Texas Gulf Coast, this tar sands pipeline is set to cross the country’s largest freshwater resource. the Ogallala Aquifer, and the fragile Sandhills of Nebraska, posing devastating consequences to human health, livestock, and agriculture. Learn more on the film site. The largest domestic natural gas drilling boom in history has swept across the United States. The Halliburton-developed drilling technology of “fracking” or hydraulic fracturing has unlocked a “Saudia Arabia of natural gas” just beneath us. But is fracking safe? When filmmaker Josh Fox is asked to lease his land for drilling, he embarks on a cross-country odyssey uncovering a trail of secrets, lies and contamination. A recently drilled nearby Pennsylvania town reports that residents are able to light their drinking water on fire. This is just one of the many absurd and astonishing revelations of a new country called GASLAND. Part verite travelogue, part expose, part mystery, part bluegrass banjo meltdown, part showdown. Learn more here. Twenty years after the Exxon Valdez oil spill, marine biologist Riki Ott and the fishers in the town of Cordova, Alaska remind us that the biggest environmental catastrophe in North American history is still with us. Over time, its consequences have become all the more apparent and painful. The spill has profoundly altered the lives of tens of thousands of people, reducing them to poverty and despair. BP’s Deepwater Horizon oil spill in the Gulf of Mexico is an unmitigated disaster, with the environmental and economic costs growing by the day. In this short film, Christopher Morris takes us on an emotional journey to Louisiana and shows us the irreparable damage to the complex fragility of the coastal and marine ecosystems, the costs of which are still being weighed. High oil prices, global warming, and an insatiable demand for energy: these issues will be the catalyst for heated debates and positive change for many years to come. Fuel exposes the shocking connections between the auto industry, the oil industry, and the government, while exploring alternative energies such as solar, wind, electricity and non-food-based biofuels. In a small corner of the most populous country in Africa, billions of dollars of crude oil flow under the feet of a desperate people. Immense wealth and abject poverty stand in stark contrast. The environment is destroyed. The issues are complex, the answers elusive. The documentary film Sweet Crude tells the story of Nigeria’s Niger Delta. The region is seething and the global stakes are high. But in this moment, there’s an opportunity to find solutions. What if the world paid attention before it was too late? As we enter the 21st century, serious questions are beginning to emerge about the sustainability of this way oflife. With brutal honesty and a touch of irony, The End of Suburbia explores the American Way of Life and its prospects as the planet approaches a critical era, as global demand for fossil fuels begins to outstrip supply. World Oil Peak and the inevitable decline of fossil fuels are upon us now, some scientists and policy makers argue in this documentary. Temperatures in Alaska are rising ten times faster than in the rest of the world. President George W. Bush is ignoring the warning signs about global warming; after pulling out of the Kyoto convention, he now wants to open the Arctic National Wildlife Refuge to oil drilling. Native Alaskans are divided: the Inupiat Eskimos want the jobs and the money that drilling would bring, but the Gwich’in Indians fear it will destroy their caribou. 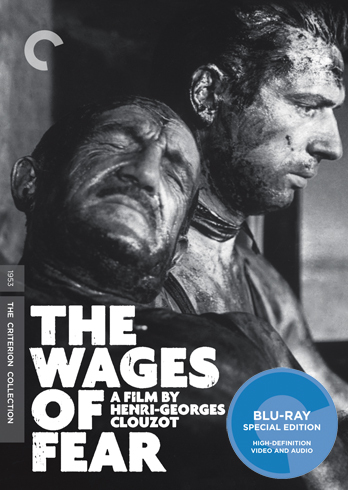 Nominated for an Oscar® and the winner of the Pulitzer Prize for its musical score, Robert J. Flaherty’s last masterpiece is a visually stunning, lyrical tribute to a land and its people. Through the eyes of a young Cajun boy living on the Bayou, Flaherty tells a story of disruption and change when an oil rig brings industry into his pristine world. Listed on the National Film Registry as a national treasure, Louisiana Story has finally been restored to its original glory. Available on Amazon Video on Demand. Another film to add to this list would be Before The Last Drop, a interesting yet unconventional technique….BTLD is a feature length awareness documentary that explores the symbiotic relationships of water and energy. Before the last drop focuses its story in Garfield County Colorado, where oil and gas development and the process of “Fracking” is threatening our much needed water supply.